So I've been in a slump. A reading slump. It's been a weird transitional time for me. I left the classroom last January to work with teachers as a literacy consultant - providing professional development and helping educators select the right books for their classrooms. It's been great, but I desperately missed talking books with kids. And the biggest change, that I was unprepared for, was how my reading life started to change (though, looking back, I should have realized it would happen). I was no longer reading with the specificity of a particular student in mind who would love the book. 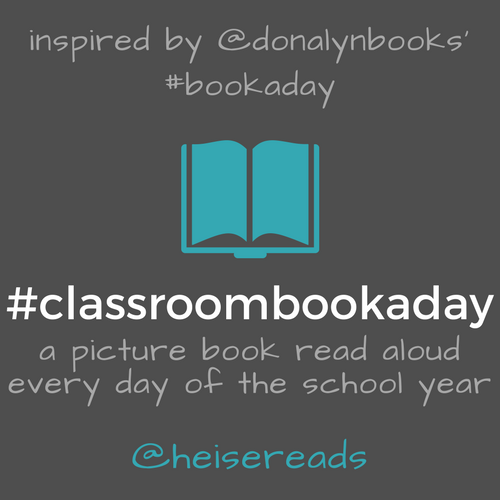 I was no longer able to take a picture book I'd read right in to share for #classroombookaday the next day. I was reading for myself and for an unknown, generic student image. It was hard. 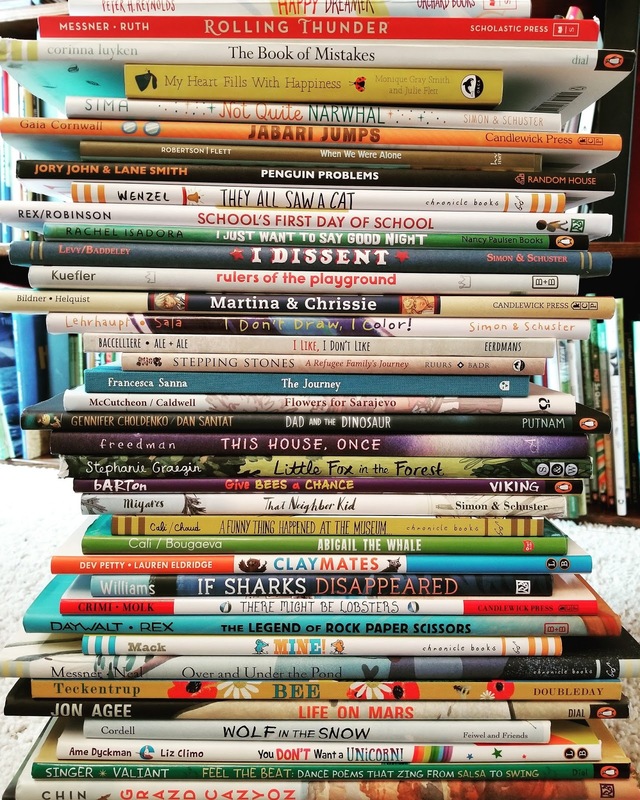 I still enjoyed reading and finding books that I knew would connect with students, but didn't realize how much it was affecting my reading life. Along with that, I was adjusting to and learning new things in my new job, and that left less brain power for reading. Whenever I was feeling really overwhelmed with the new job, I could simply look at my goodreads "read" shelf and realize I wasn't making enough time to read anymore. 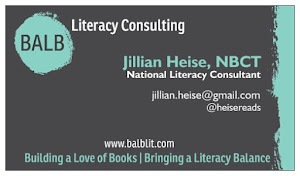 Then, in February this year, I transitioned into an independent contractor role as a literacy consultant. Now I was working from home being self-employed. Things changed again. I was often missing my motivation because I wasn't interacting daily with teachers about books. Over the last 16 months I've gone in and out of slumps and had trouble connecting with books and committing to ones to read completely. I'm still feeling a bit in a slump, but am hopeful I'm on track to getting my reading mojo back. You see, I'm starting back to grad school (again!) next week. 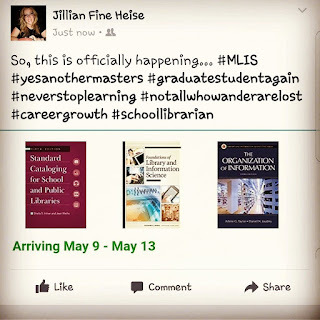 I'll be working toward my MLIS (Masters in Library & Information Science) and school librarian certification. And I'm really excited. It's going to be a busy summer of learning, grad course work, and attending/presenting at a few conferences, but I'm so looking forward to it, and am hopeful that I'll be rising out of the slump again. 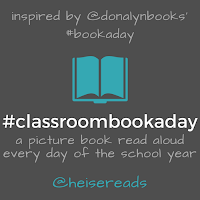 I'm excited again about books - excited to share picture books and #classroombookaday this summer at the Scholastic Reading Summit in Chicago and nErDcampMI, & excited to hear about new books at ReadingCon & ALA. 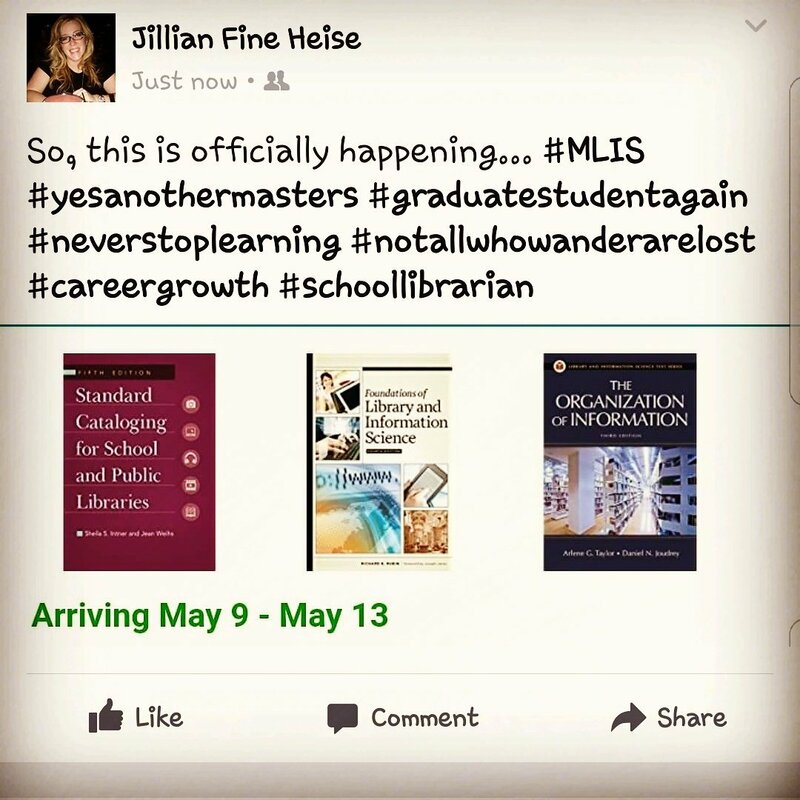 I'm excited for the learning I'll be doing along the way toward the MLIS degree. I'm excited to get to talk with teachers about what books connected with their students this year. It's ok to have slumps' all readers do. Accepting that helps with the guilt, and finding something to re-inspire you helps get back on track. 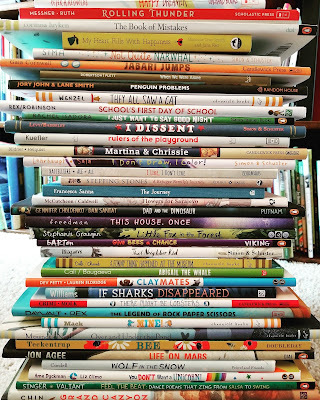 Today I pulled together a stack of picture books I've loved this year as I was prepping for my presentations this summer. It reminded me that although I was slumping, I was still connecting with some books (even if not as many as I would have liked). I hope to see you along the way this summer, and if so, please say hi. 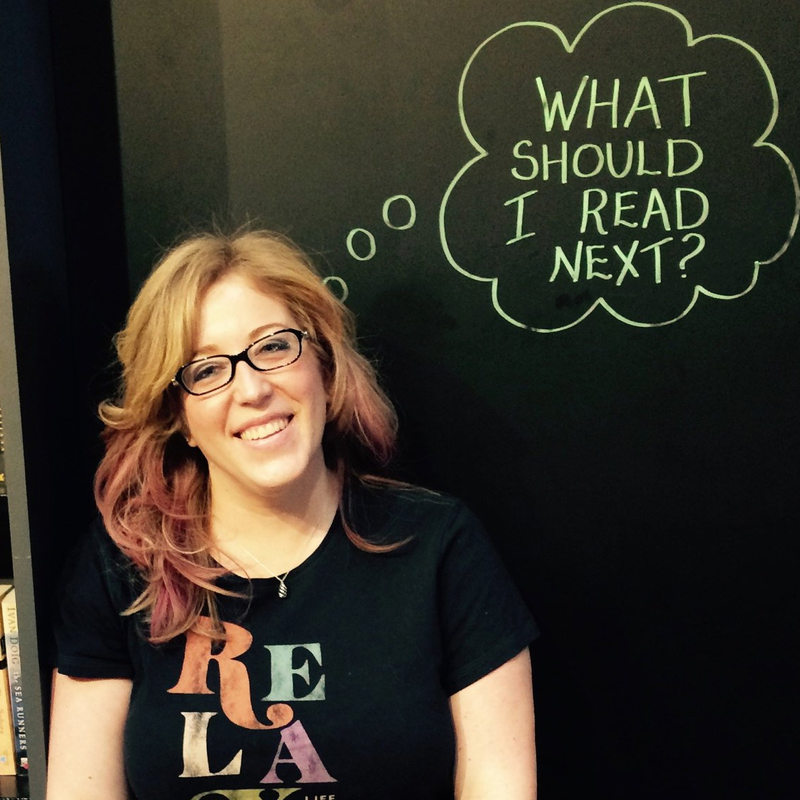 I'd love to hear what you're reading! It is important (to me, too!) to have those students in mind after reading the books. Change is hard, and I know of a lot of people who didn't do well at consulting after being terrific classroom teachers. Good luck on the MLS-- I just hope there are more jobs in your area than there are where I am. I hope summer breaks you out of your slump a little. Good luck on getting your MLS. I haven't regretted getting my and love my job.